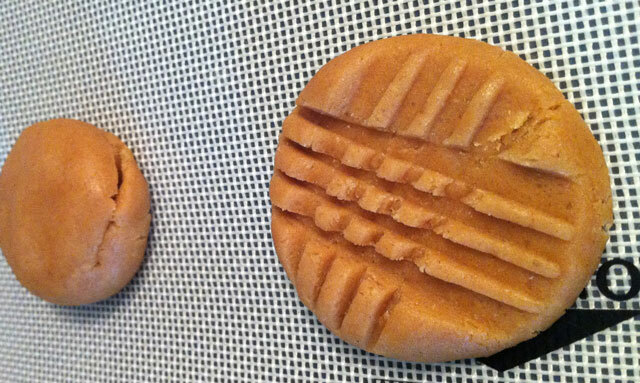 Brian, the boyfriend, loves, seriously loves peanut butter cookies. They are his absolute favorite in the whole wide world. Add dark chocolate chips, and he is a gonner. He prefers them to have the choco chips, but sometimes I want them without, so compromise begins. Half with, half without. This recipe is super easy, and has come a long way over the years to be honest. I have tried a billion recipes from blogs, cookbooks, magazines, you name it. I tried using peanuts mashed, chopped, roasted, and all. 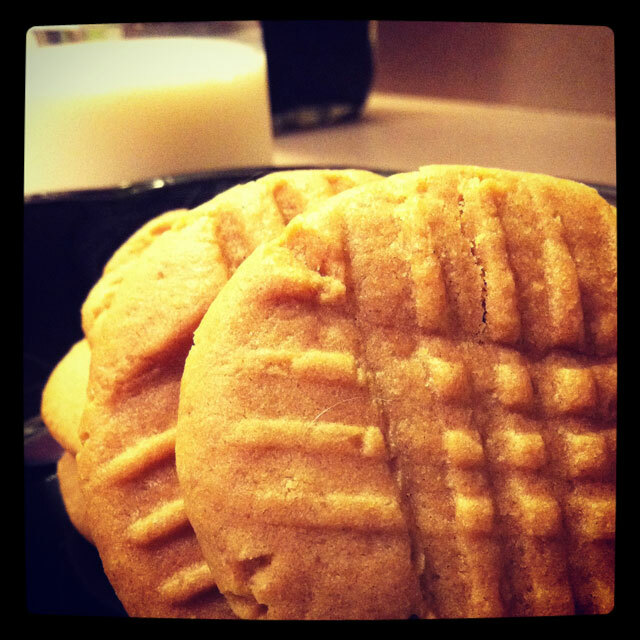 But his favorite were these, good ol fashioned old school recipe. Slightly adapted from the holy grail of cookbooks. Sorry to Mrs. Rombauer, but it had to be done, he needed more peanut not butter. So I omitted a bit of butter and subbed peanut butter. It worked. Pre heat oven to 325 for softer, chewy cookies, and 350 for crumbly. Makes about 2-3 dozen, depending on how much raw dough you eat and the size. 1. In a stand mixer with paddle attachment, or a hand mixer, cream butter until light color for 3 minutes. Add the sugars and cream for 3 minutes. Add the peanut butter, combine well, about 2 minutes. 2. Add the egg and vanilla, mix to combine. About 1 minute. 3. In a seperate bowl add the flour, baking soda, and salt. Slowly add to wet ingredients (peanut butter mixture), and mix until combined. 5. 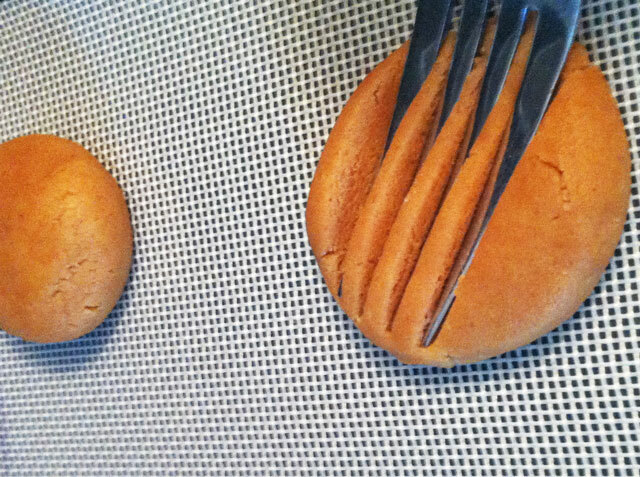 Shape dough in 1 1/2- 2 inch balls, and place on a sheet pan lined with parchment paper or silpat. 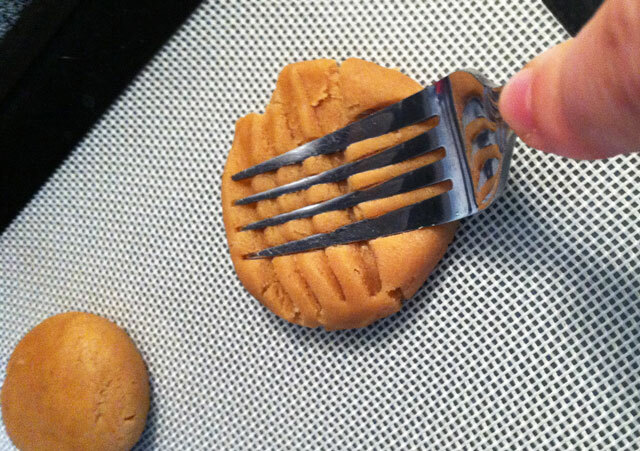 Flatten with a fork in the traditional peanut butter cookie crisscross pattern. Bake until yummy golden brown. ENJOY with a glass of milk, tea, or coffee. To each their own. I want some of these cookies but there is absolutely NO WAY I’m gonna make em. It’s a dilemma alrighty and the only practical resolution is that you make some for me and send them to Sac. So how much will they set me back? So easy, you should make them, they make you happy.